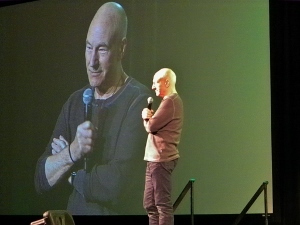 After three days of great celebrity guests at Seattle’s Emerald City Comicon during the weekend of March 1-3, no one drew a bigger crowd than Patrick Stewart. 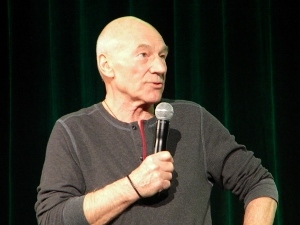 Though he needs no introduction at such an event, the audience reacted wildly at the emcee’s mention of Star Trek: The Next Generation and X-Men. 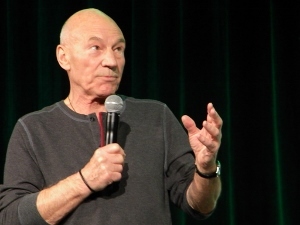 Stewart, of course, shot to stardom with his portrayal of Captain Jean-Luc Picard on the former, while the latter provided a second iconic role as Professor Charles Xavier. For attendees, the panel offered a rare chance to interact with a sci-fi superstar. After an engaging, funny chat with moderator Marty Riemer (a Seattle-based radio personality), members of the audience lined up for a chance to ask Stewart a question. Which of the four Trek films he starred in is his favorite? First Contact was the fairly predictable answer. Stewart said that 1996 film was “directed brilliantly” by his Trek co-star Jonathan Frakes. He seemed extremely enthusiastic about reprising his role as Professor X in the upcoming X-Men: Days of Future Past. The discussion touched on most of the major aspects of Stewart’s career, with several questions focusing on his extensive work with The Royal Shakespeare Company. He spoke about his impending return to the stage with roles in Broadway productions later this year (co-starring with Ian McKellen, also returning to the X-Men universe as Magneto in the new film). He also mentioned his starring role in the upcoming film, Hunting Elephants, which he assured the audience was not about hunting, nor elephants (though he had little more to say than that).